Introduce the 4 processes pictorially and through movement, plays and stories. Create plays and stories around the four personalities, so they become knowably approachable. Have each one appear on the page every time its process is learned or practiced, with its formal or informal name and respective color. Plots should be simple with all of the characters true to type, with interactions that bring out their personalities and differences. There are many possibilities for casting the roles. For example, fewer than 4 children could take turns by changing hats and switching characters, with the parent or teacher playing the roles of the villagers and King. 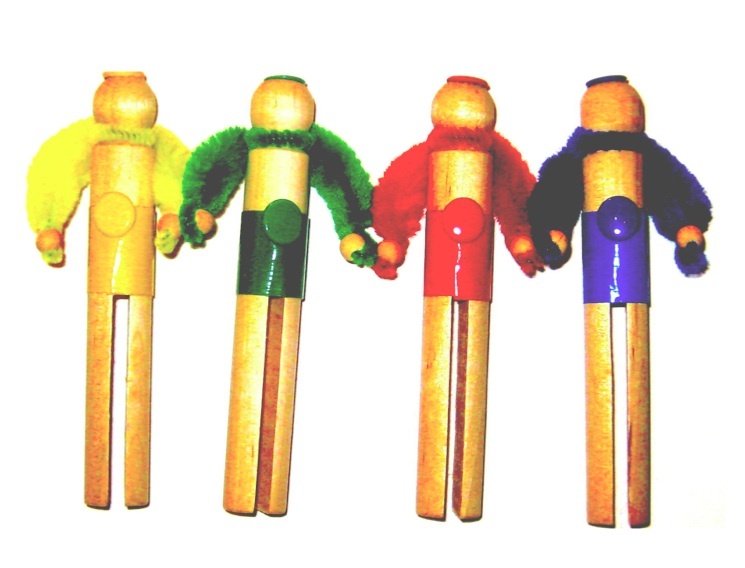 Math By Hand supplies Doll Pins dressed as the 4 characters (see below), which may be more appropriate for 1 or 2 to act out the stories or plays. 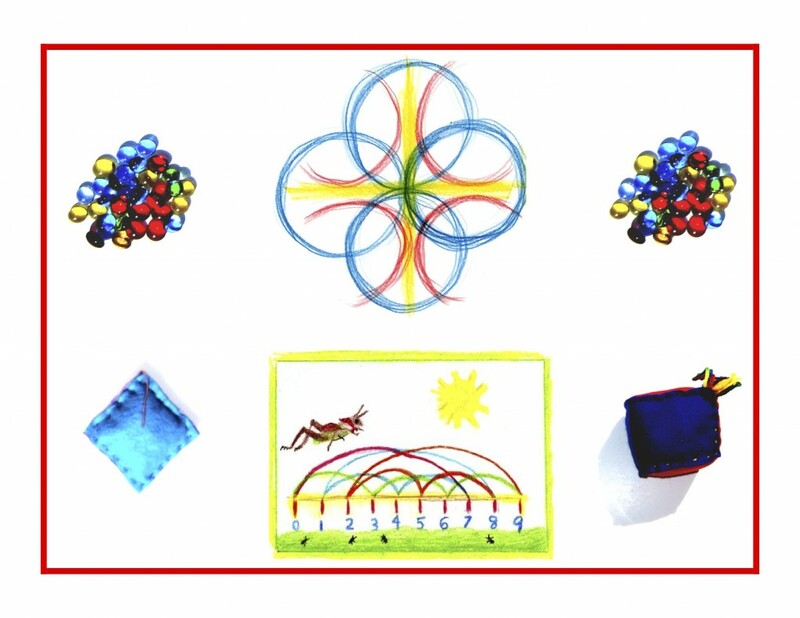 The foundational connections to the 4 Processes, attained by steeping them in colors and characters, will reap a lifelong benefit: an affinity for and appreciation of math. Knowledge ensues in an environment dedicated to imaginative, creative knowing, where student and teacher alike surrender to the ensuing of that knowledge as a worthy goal. Do tune in tomorrow for the special jobs the King assigned each of the 4 Processes characters.